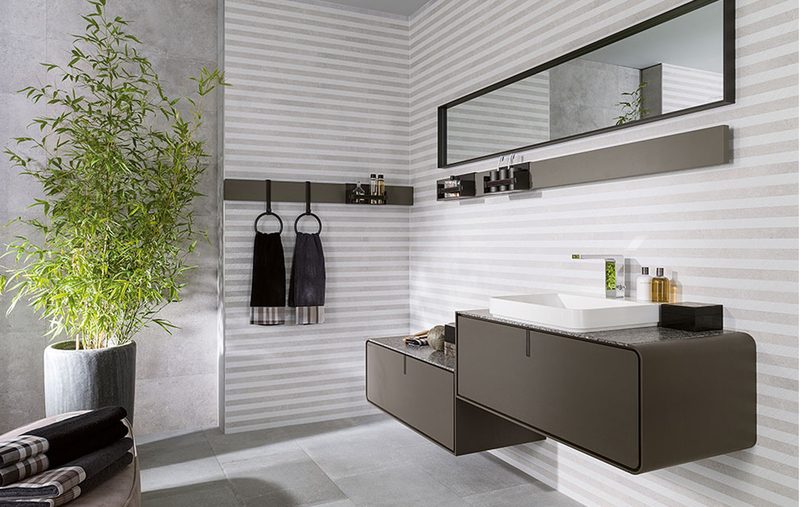 The concept of stripes is timeless and one can easily play off of the power of linear patterns by choosing a wall tile that mimics this style. There are many benefits that come with selecting a linear pattern for a wall. When arranged in a vertical composition, the ceiling of a room can appear taller, making any room feel automatically bigger. Horizontal patterns can create depth in a room as well as a great visual appeal. From classic to avant-garde and relaxed, this trend can be used in styles ranging from mature and modern to fun and casual. 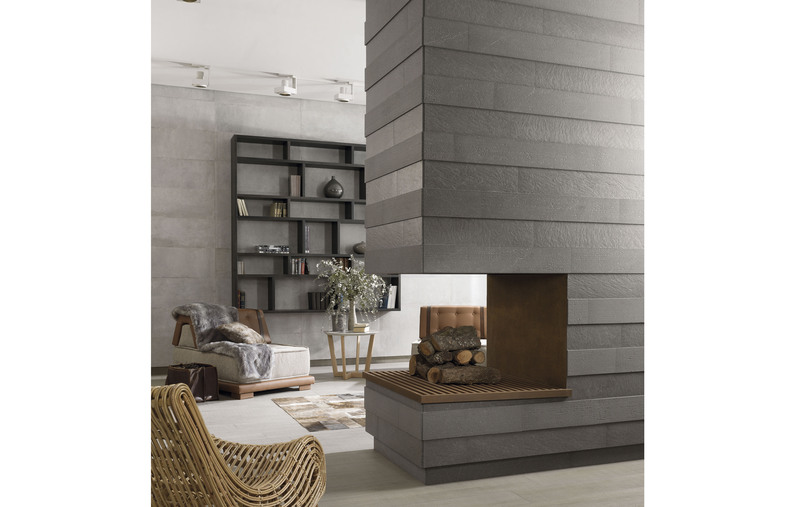 A grey toned ceramic tile, BELICE ACERO combines subtle angled lines and a cement- like appearance to create an elegant, modern composition. Light accentuates the depth in the surface, creating a play of reliefs, lines and textures. DOVER LINE ACERO, another tile mimicking the look of cement, uses a styled pattern made of two color strips. The Dover series is a STON-KER ceramic stone, a remarkably resistant material with a surface that is unaffected by the most extreme conditions. TECHNIC DARK & TECHNIC DARK LINED, both part of the Technic Series, are another great selection of striped tiles. Using these two tiles in an alternating pattern, you can create a subtle and textured stripe effect, perfect for accent walls or fireplaces. These tiles are also a STON-KER ceramic stone. A ceramic covering which simulates the serenity of typical Japanese style wall paper, JAPAN LINE MARINE is a neutral colored ceramic tile characterized by its vertical stripes. Its warm tones make it perfect for creating a relaxing bathroom setting.